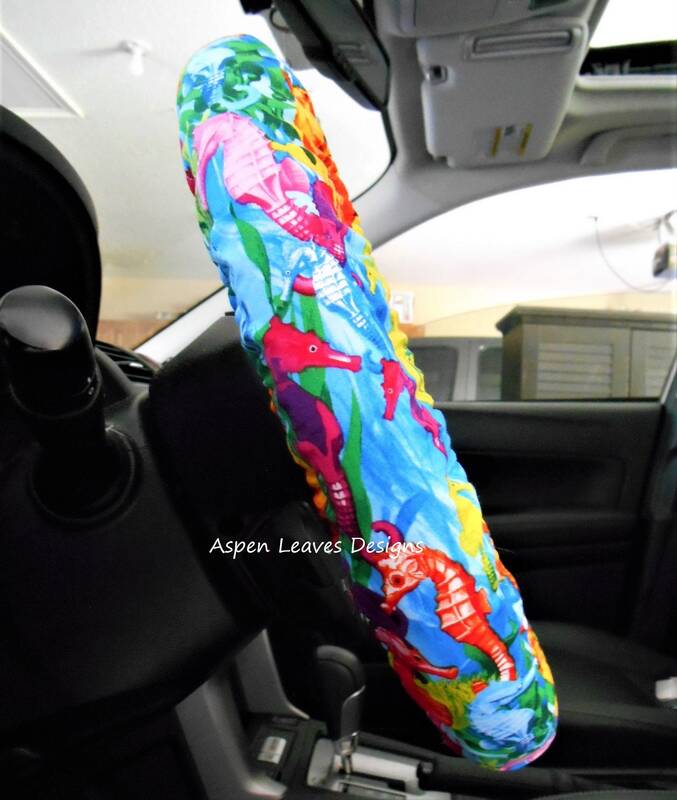 Large seahorse steering wheel cover. Fully lined. Aquatic car accessory. Rainbow seahorse's in the ocean. Small seahorse steering wheel cover. Fully lined. Aquatic car accessory. Colorful seahorse and coral plants. Jellyfish steering wheel cover. Fully lined. Nautical car accessory. Deep ocean fish. 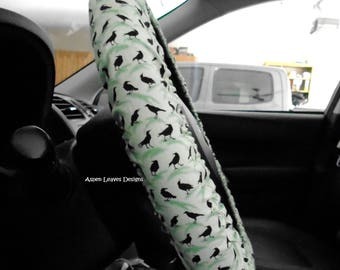 Cat selfie steering wheel cover. Fully lined purr-fect pet car accessory. Chicken steering wheel cover. Fully lined pet poultry car accessory. Red, white and black . 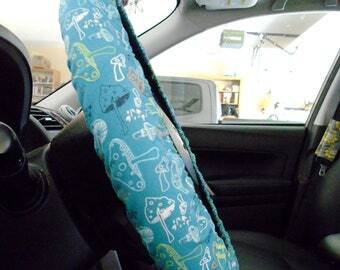 Blue floral steering wheel cover. Fully lined shades of blue car accessory. 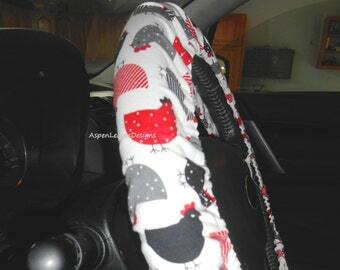 Porcupine steering wheel cover. Fully lined car accessory. Prickly porcupines on blue fabric. Pink and gray cats steering wheel cover. Fully lined purr-fect kitty car accessory.